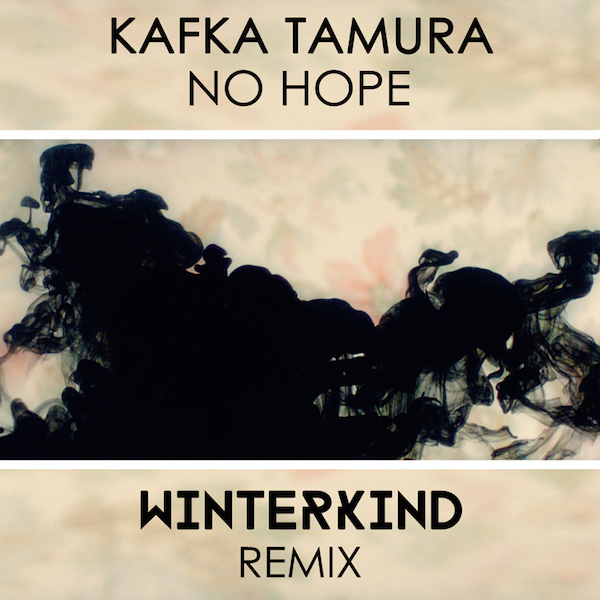 After a succesfull support tour with Milky Chance in Europe and their own headline tour through Germany KAFKA TAMURA is coming back with a remix of their first single. After an extensive world tour Milky Chance will finally give a concert in their hometown this year. 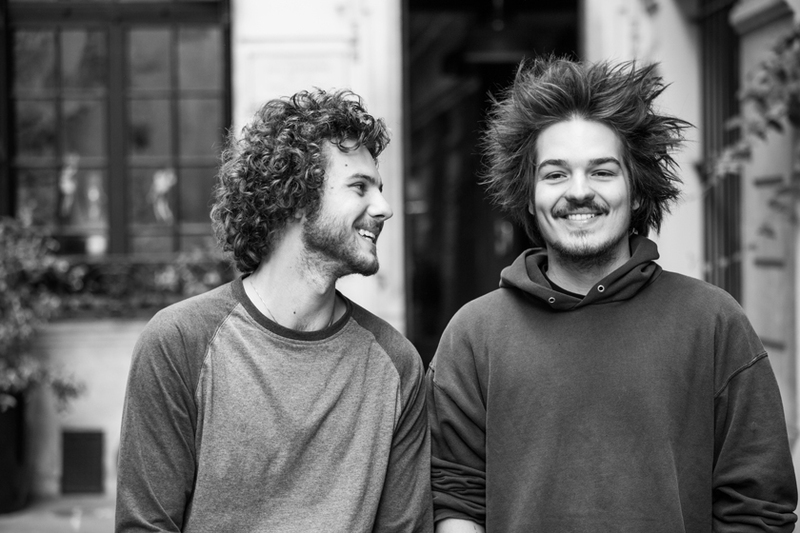 After having achieved great national and international success with their music in the last two years and after having been on extensive tour all over the world, Milky Chance are finally coming back home this summer. The band known for their hits „Stolen Dance“, „Down by the River“ and „Flashed Junk Mind“, will be playing a concert in their hometown Kassel on 14th August 2015. This will be their last show in Germany before taking a creative break in that new material will be written. 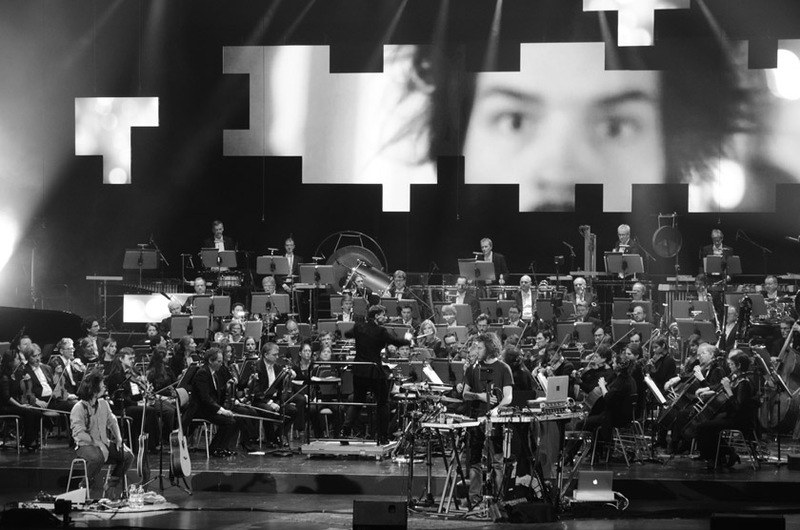 Pop-Folk-Duo Milky Chance have been guests at the hr symphony orchestra. Our guys from Milky Chance have been „special guests“ at this year’s „Music Discovery Project” which is hosted by the hr symphony orchestra. Under the motto “Classic meets pop” they created something new and unique! For nine years the „Music Discovery Project“ captures annually an audience, which searches for exceptional musical experiences. If celebrated DJs or successful pop and electro artists – guests from all musical worlds are taking part in this particular project dealing with expressive classic pieces. Together with the hr synphony orchestra they present and melt diverse musical styles and create a new sound! James Hersey’s Single “What I’ve Done” will be out on February 13th. 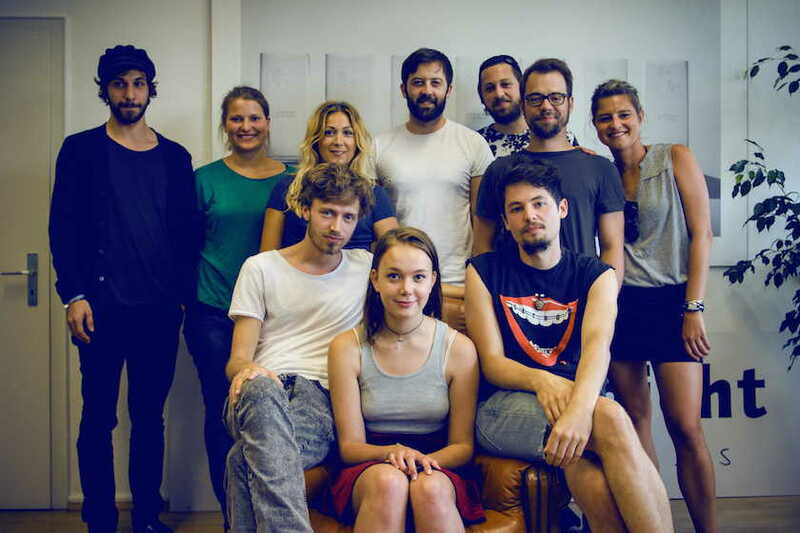 The official video however has already celebrated its premiere on Tape.tv and Musikexpress! After having postponed the release date of his debut album „Clarity“ and the corresponding tour in Autumn 2014, James Hersey and Lichtdicht Records are now disclosing new dates and details with a fresh single ready to launch. 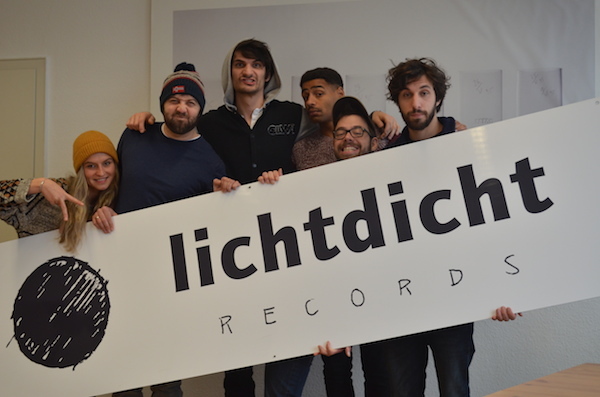 It is no secret anymore that James Hersey is signed to Lichtdicht Records. The newcomer’s debut album release as well as his new tour dates, however, are. The artist and his label are now bringing clarity. It is official since the 22nd October. Milky Chance will compete against the Beatsteaks, Fanta 4, Kraftclub and the Mighty Oaks in the „Best Band“ category at the German radio award 1Live Krone. Milky Chance are in the pre-selection of nominees who are running for the price as „International Breakthrough Act“ at the 16th version of the French NRJ Awards. „Révélation internationale de l’année“ – that is the name of the price Milky Chance can win this year amongst others. The French radio station NRJ (“Nouvelle Radio des Jeunes”/“ new radio of teens”) is hosting the NRJ Music Awards (NMA) annually in the city of Cannes on the Côte d’Azur. Until 2nd November fans are deciding by their vote who will be on the final list of nominees! Only four of the six pre-nominees have the opportunity to be selected. 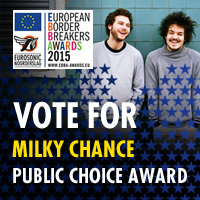 Support Milky Chance and vote here! BONNE CHANCE. ON SE VOIT À CANNES! The 16th version of the biggest French radio award will take place on 13 December at the legendary Palais des Festivals in Cannes. 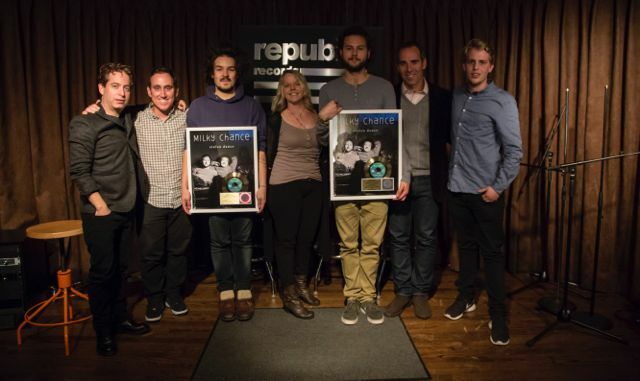 Milky Chance have already won an EBBA. Now they have the chance to win the Public Choice Award, too. 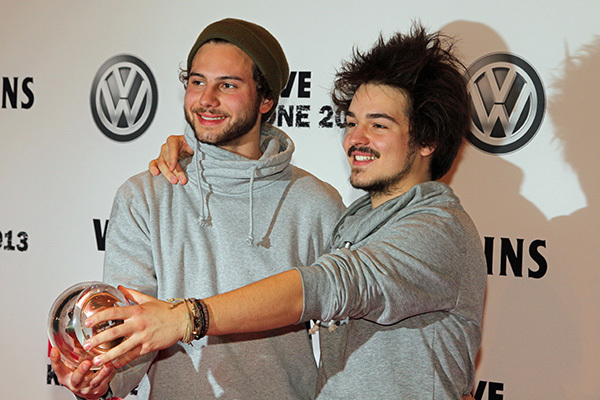 Milky Chance have already won an EBBA – this is already certain. Furthermore, they have the chance to win the Public Choice Award, for which fans can vote here. The European Borders Breaker Award (EBBA) is a price, which is awarded by the European Union. It was created by the European Commission in 2014. The award intends to honor and stimulate successful European artists outside of their own country. Besides, it wants to promote the cultural and linguistic diversity in Europe. The ceremony will be held at the Eurosonic Noorderslag festival on January 14th 2015. You can get more info about the award here. Milky Chance capture the USA and release their Album “Sadnecessary” on the north American market on 14th October, making their television debut on Jimmy Kimmel live! on OCTOBER 22, 11:35|10:35 CT on ABC. “Stolen Dance” continues to dominate Radio.